Legendary ‘keeper probably doesn’t have a new career in singing ahead of him. 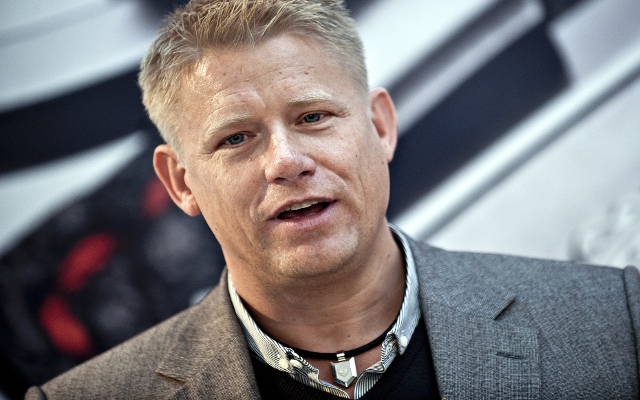 Peter Schmeichel is one of the finest goalkeepers of all time and a bona fide Manchester United legend but, as this video filmed in an Icelandic pub shows. Peter Crouch and Abbey Clancy party with Kasabian. Adrian Chiles and ITV football team soaked by sprinklers in Basel. Jose Enrique shares romantic kiss with WAG. Schmeichel was filmed singing with a guitar, looking every inch the Scandinavian folk star with his hair swept back – sadly, the voice doesn’t quite match up, although he still received a generous round of applause.